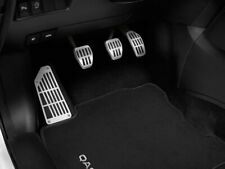 Add these sport pedals to your Qashqai to give it a sporty look and feel. Keep your Note clean with front and rear standard textile mats. Fits Note E12 from 10/13 Onwards. About Nissan Parts. Wing Mirrors & Covers. Glow Plugs. Rear Lights. Washer Bottle Cap. Washer Pump. NISSAN QASHQAI MK1 2006-2012. 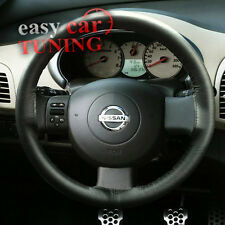 THIS COVER WILL FIT NISSAN QASHQAI 1st GENERATION [ J10 ] FROM 2006-2012. NISSAN 200SX S13 COUPE 1988-1994. And what you will receive is only the leather part. Black leather with black stitching. THIS COVER WILL FIT NISSAN ELGRAND E51. NISSAN ELGRAND E51 2002-2010. VERY HIGH QUALITY CUSTOM MADE FITS PERFECT LIKE A GLOVE HANDCRAFTED WITH TOP GRAIN LEATHER. Motorcycle seat strap cover. NISSAN JUKE 2010-2013 . Black leather with red stitching. And what you will receive is only the leather part. Datsun 240z 260z 280z rear hatch. Condition is used as seen in photos. Large amount of surface rust and a few holes as seen in photos. Repaired underneath (as in photo). Fibreglass spoiler attached. Taken from 1974 260z but will fit other z models (buyer to check). FITS NISSAN FIGARO. Black leather grey stitching. And what you will receive is only the leather part. About Nissan Parts. Wing Mirrors & Covers. Keep your NOTE looking clean with 4 Velour Textile Mats specifically designed to fit the floor spaces of your vehicle. Glow Plugs. Rear Lights. Washer Bottle Cap. Nissan Genuine Limited Edition Arctix Mats - Set of front mats only (2 Mats). About Nissan Parts. Wing Mirrors & Covers. Clutch Kit. Clutch Cover. Clutch Friction Plate. Washer Bottle Cap. Clutch Slave Cylinder. Add more front storage to your JUKE with this customised front Leather Armrest With White Stitching. About Nissan Parts. Wing Mirrors & Covers. Washer Bottle Cap. Genuine Nissan carpet standard floor mats. Includes front mats x2. Rear Lights. Roof Bars, Rails, & Carriers. Nissan Collection. About Nissan Parts. Wing Mirrors & Covers. Clutch Cover. Clutch Kit. Clutch Friction Plate. Clutch Cable. Clutch Slave Cylinder. Clutch & Drivetrain. Genuine Kuro Floor Mats x4 Velour. Front Rear set. About Nissan Parts. Wing Mirrors & Covers. Clutch Kit. Clutch Cover. Clutch Friction Plate. Washer Bottle Cap. THIS COVER WILL FIT NISSAN MICRA K11 FROM 1992 - 2003. NISSAN MICRA K11 1992 - 2003. HANDCRAFTED WITH TOP GRAIN LEATHER. 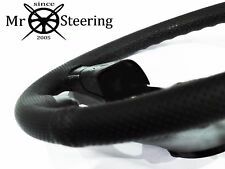 ITALIAN LEATHER STEERING WHEEL COVER. Motorcycle seat strap cover. 100 % italian leather. FITS NISSAN FIGARO. Black leather blue stitching. And what you will receive is only the leather part. FITS NISSAN QASHQAI 2007-2013. And what you will receive is only the leather part. red stitching. About Nissan Parts. Wing Mirrors & Covers. Clutch Friction Plate. Washer Bottle Cap. Rear Lights. Roof Bars, Rails, & Carriers. At Nissan to 'build quality' is what we do and not just what we provide, and this applies to all of our Products and Parts giving you continued peace of mind. 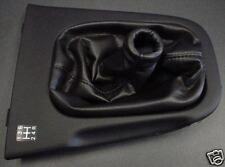 THIS COVER WILL FIT NISSAN MICRA K11 FROM 1992 - 2003. NISSAN MICRA K11 1992 - 2003. HANDCRAFTED WITH TOP GRAIN LEATHER. Motorcycle seat strap cover. ITALIAN LEATHER STEERING WHEEL COVER. Instructions and accessories ( THREAD AND NEEDLE ) included. About Nissan Parts. Wing Mirrors & Covers. Clutch Kit. Release Bearing. Clutch Cover. Clutch Friction Plate. Washer Bottle Cap. Clutch Slave Cylinder. FITS SKYLINE R32 YEAR 89-94. And what you will receive is only the leather part. Black leather with red stitching. THIS COVER WILL FIT NISSAN PATROL MK5 (Y61). NISSAN PATROL. Motorcycle seat strap cover. YOU WILL HAVE TO STITCH THIS COVER BY YOURSELF. HANDCRAFTED WITH TOP GRAIN LEATHER. Instructions and accessories ( THREAD AND NEEDLE ) included. THIS COVER WILL FIT NISSAN ELGRAND 1st GENERATION ( E50 ). NISSAN ELGRAND E50. STANDARD VANGUARD. HANDCRAFTED WITH TOP GRAIN LEATHER. Motorcycle seat strap cover. THIS COVER WILL FIT NISSAN JUKE FROM 2010-2017. NISSAN JUKE 2010-2017. Motorcycle seat strap cover. YOU WILL HAVE TO STITCH THIS COVER BY YOURSELF. HANDCRAFTED WITH TOP GRAIN LEATHER. It has been drilled and tapped with the correct thread to fit Nissan Micra mk2, K11 (1992-2003). (see photo above if you're not sure which micra you have). Simply unscrew your existing ball and screw this one on. About Nissan Parts. Wing Mirrors & Covers. Glow Plugs. Rear Lights. Washer Bottle Cap. Washer Pump. Roof Bars, Rails, & Carriers. At Nissan to 'build quality' is what we do and not just what we provide, and this applies to all of our Products and Parts giving you continued peace of mind. FITS NISSAN S13 200SX 180SX 1988-1993. pu suede with Grey stitching. dark grey black. And what you will receive is only the leather part. About Nissan Parts. Washer Bottle Cap. Roof Bars, Rails, & Carriers. Nissan Collection. At Nissan to 'build quality' is what we do and not just what we provide, and this applies to all of our Products and Parts giving you continued peace of mind. Will fit NV400 models from October 2011 onwards KE751BZ589. About Nissan Parts. Wing Mirrors & Covers. Clutch Friction Plate. Washer Bottle Cap. Rear Lights. Roof Bars, Rails, & Carriers. Nissan Collection. FITS NISSAN QASHQAI 2007-2013. And what you will receive is only the leather part. NISSAN NAVARA 2006 . And what you will receive is only the leather part. Black leather with black stitching. About Nissan Parts. Wing Mirrors & Covers. Clutch Friction Plate. Clutch Kit. Genuine Nissan Car Rubber Floor Mat Set, x4. Clutch Cover. Suitable for Pathfinder models built between 01/2005 – 03/2010. About Nissan Parts. Wing Mirrors & Covers. Driver mat with heelpad (except in the case of LCV floor mats) A set of genuine floor mats, Front x2. Standard, textile. Washer Bottle Cap. Rear Lights. Roof Bars, Rails, & Carriers.